Today is a special day here at CancunCOOKIES... a very special friend is visiting us! ~ Hoy es un día especial aquí en CancunCOOKIES... una amiga muy especial está de visita! In Slovakia, they use parchment cones or little bags to decorate, and that is what Hani uses: ziploc bags! ~ En Eslovaquia, usan conos de papel o bolsitas para decorar, y eso es lo que Hani usa: bolsas ziploc! Hello, I'm Hani from Haniela's. 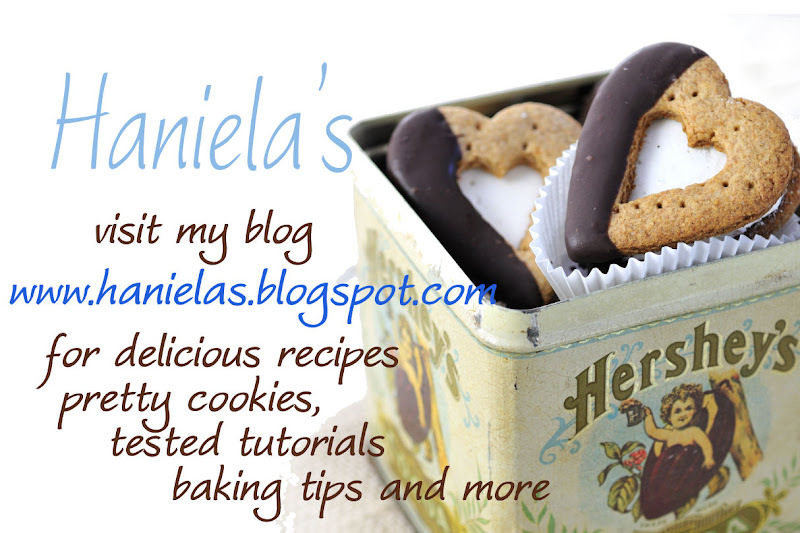 You can find out more about me by visiting my blog where I share online baking tutorials, recipes, I also like to make pretty cookies and I love food and developing new unique recipes, some include also our family heirlooms, usually with a twist. If you can't find me in the kitchen then I'd probably ventured out into our beautiful garden we care for in the Summer time or I'm behind the lens, pressing the shutter capturing the world of food, or on the weekends I thoroughly enjoy visiting flea markets, local yards sales, finding the lost treasures. Bea and I first met online on Flickr, few years ago and today I'm so honored to be a guest on Bea's beautiful blog. I prepared a Tulip Cookie Tutorial for you. I wanted to achieve a new dimension with a tulip cookies ,tulip cookies are mostly decorated flat so I thought I'd play around a little. In this tutorial you will find embroidery technique and sanding sugar application, both techniques play a key role in this tulip design. 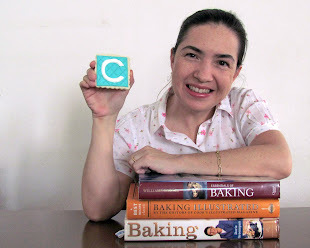 Bake cookies, and prepare Royal icing, color icing with food color and make outline consistency icing(thin the icing down with a bit of water to about a toothpaste consistency) and flood consistency. Be sure to taste Hani's Honey COOKIES. I tasted them last Fall and I can tell you they are awesome! ~ Asegúrate de probar las GALLETAS de Miel de Hani. Yo las probé el Otoño pasado y puedo decirte que son fabulosas! WOW, colors look fantastic on chocolate cookies! Thanks for sharing ;-) You both are really good at decorating cookies. Amazing artists. Hani your tulips are just beautiful. Doing the brushed embroidery technique on them certainly adds a wonderful new dimension. Bea, que galletas para más lindas...!!! Y la verdad es que el paso a paso está bien explicado, mil gracias por presentarnos a Haniela. A completely new take on tulips! Beautiful! Thank you! Awww.....two of my favorite cookie friends....Hani and Bea. Hani -- These are the most beautiful tulip cookies I have ever seen!!! And I LOVE that you added sanding sugar! These cookies are gorgeous, Hani! So many amazing techniques in one cookie. Beautiful, Hani! Love the depth and the color is so rich!